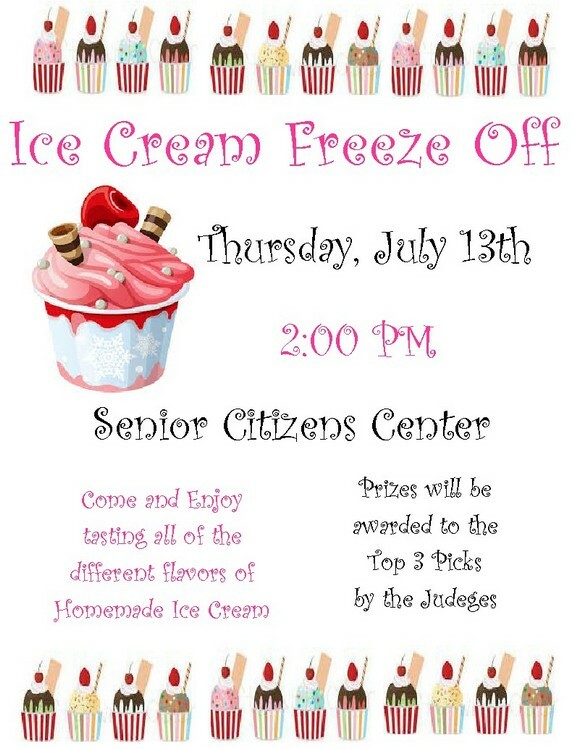 There are only 11 Entries so far for the Homemade Ice Cream for the Freeze Off on Thursday, July 13th. However, there are spots for 7 more entries. If you would like to enter the contest please email or call Karon Weatherman. There will be prizes for 1st, 2nd 3rd and 4th Places. Be sure to mark your calendars for this exciting event!